As always, we are excited whenever prolific research and eschatology writer extraordinaire, Dave MacPherson, submits articles to be published in our blog. 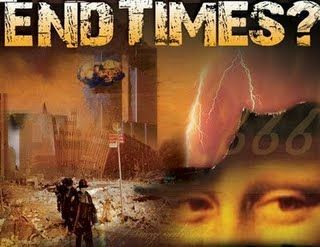 Known as the top expert on the origins of the "Pre-Tribulation to Heaven" mythology, our dear friend and fellow servant sent us this article to comment on today's "end times" hysteria that has taken over the mission of spreading the Gospel of Jesus Christ. First , let's get something straight. Many American evangelicals are not looking for the "world's end" or "judgment day" or an "Antichrist" or even the "second coming." Although these phrases are in their theology books, the same books emphasize what they are waiting (and would almost die) for: the "any-moment pretribulation rapture" - a sudden coming of Christ occurring not only BEFORE the final second coming but (most importantly) even BEFORE the apocalyptic "great tribulation" (a.k.a. "Antichrist's reign of terror") preceding the second coming! So what's been the appeal of the 182-year-old pretrib rapture view? Although it was dreamed up and first publicly aired in Britain in 1830 (and made history by promising Christians an unheard of lift-off from earth before the horrors of Antichrist's reign), it wasn't fully accepted and merchandised in America until almost a century later. 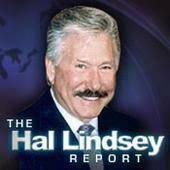 Hal Lindsey, the big rapture guru of the late 20th century, ended his bestselling book "The Late Great Planet Earth" with the word "MARANATHA" which pretribulation rapturists know is a code word for their rapture. And the same literal removal from earth at any moment lurks in Lindsey's other writings. Tim LaHaye, the current rapture tycoon whose "Left Behind" bonanza has left even Lindsey behind, knows how to milk the rapturized masses. 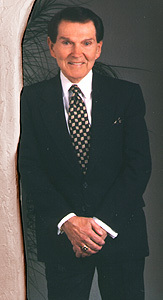 After his 1992 pro-rapture book "No Fear of the Storm" was published, it was revealed that he had sloppily omitted 49 words when airing the pretrib originator's brief handwritten "revelation" account (the same 49 words Thomas Ice had somehow omitted when he had reproduced it three years earlier!). preaching, to remind his audience that he most certainly believed in the "pretribulational rapture" view. 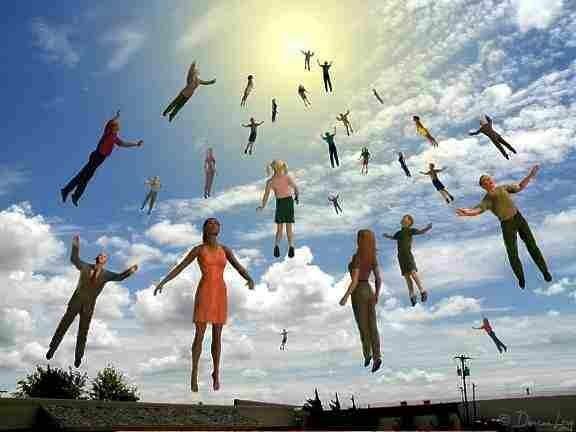 I can almost believe that the middle name of many Christian Right leaders is "Rapture"! pretribulation coming which was never a part of any organized church or any official Christian theology before 1830! Many are still unaware that the pretrib rapture idea was first publicly aired in the fall of 1830 in "The Morning Watch" (hereafter: TMW), a little-known quarterly journal published by the Irvingites (followers of famed London preacher Edward Irving) from 1829 to 1833 in Britain. Not only was this innovative publication years ahead of John Darby and his Plymouth Brethren colleagues, rapturally speaking, but in it we find shocking militancy that has been observed recently in Christian Zionist preachers like John Hagee, Jerry Falwell, Tim LaHaye, Hal Lindsey, Jan Markell etc. As early as the September 1830 issue of TMW (pp. 510-514) a writer declared that only worthy Christians (which he labeled "Philadelphia") would be raptured before "the great tribulation" and less worthy ones (labeled "Laodicea") would be left on earth. The September 1832 issue of the same journal (pp. 6-7) saw "Jews" as well as the less worthy Christians left behind. But the March 1833 issue (p. 147) said that only "the Jews" would be excluded from the rapture. So within a short period of time the Irvingites, while following the same Scriptures, revealed their innate anti-Jewishness by switching from a "church/church" dichotomy to a "church/Israel" dichotomy after convincing themselves that only "the Jews" would deserve a future tribulation! After their adoption of an escapist view that no leading Greek scholar had ever taught before 1830, the same early pretrib rapturists, feeling superior, began exhibiting some vices that often come to powerless persons who suddenly obtain power - vices like pride, hatred and persecution of others, playing God, and so on. Sounding like Hagee and other warlike warmongers, TMW expressed even more delusional, rapture-inspired fantasies: The September 1830 issue (p. 514), looking ahead to the hoped for "great escape," declared that the raptured believers would then collectively become "the victorious ministerer of the great tribulation" upon those left behind! In March of 1832 the same Irvingite journal (p. 3) taught that the "vials" of wrath in the book of Revelation "shall be poured out by the risen [raptured] saints"! And TMW in September 1832 (p. 27) went even further and announced that the collective group of raptured ones will "wield the thunders of its power against the dragon [Satan] and his angels, and cast them down from heaven"! Christian Zionists, who seemingly give more attention to governments than to their Gospel, turned the Great Commission into the Great Commotion? 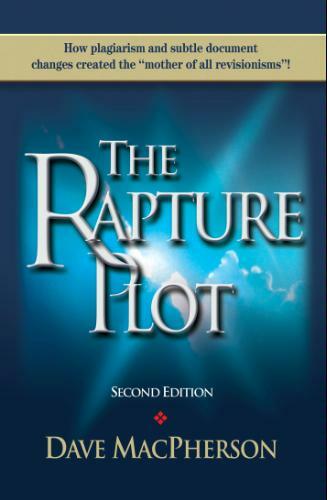 Many of the above historical details are in my 300-page book "The Rapture Plot," the most complete and documented history of the 182-year-old pretribulation rapture merchandised today by Hagee, LaHaye, Ice, Strandberg, Lindsey, Swaggart, Van Impe, Markell, etc. 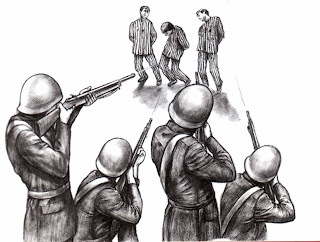 for their pet agendas - an escapist view still held by Americans and others who have had little persecution! 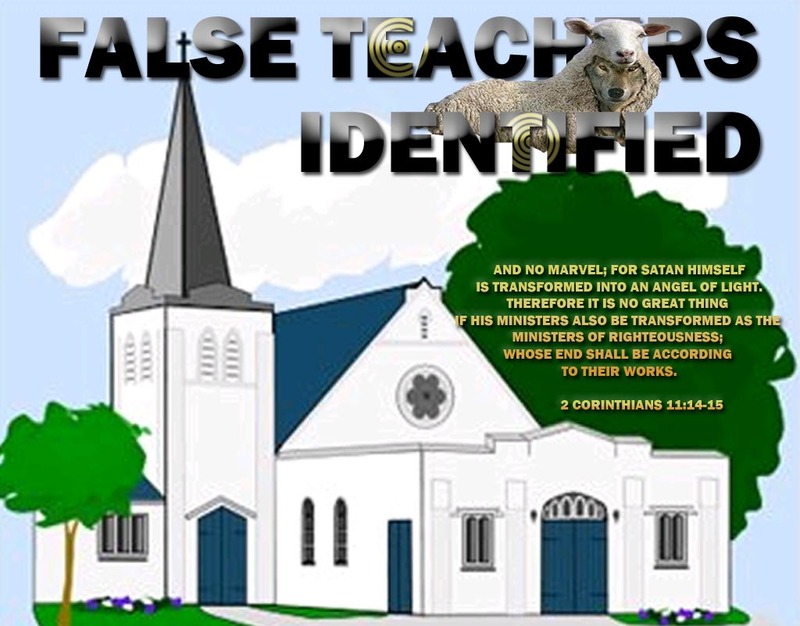 To see my web articles, Google or Yahoo "Pretrib Rapture Diehards,"
John Darby," "Famous Rapture Watchers," "Thomas Ice (Bloopers),"
"Pretrib Expert John Walvoord Melts Ice," "Pretrib Rapture Secrets,"
Secrecy," "Appendix F: Thou Shalt Not Steal," "Pretrib Hypocrisy,"
will purify Jews and Christians" and "Pretrib Rapture Dishonesty." 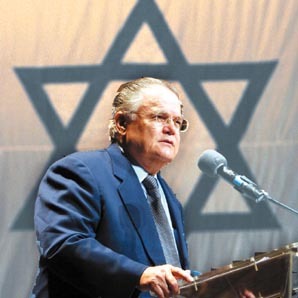 Do Hagee and his fellow preachers really love Jewish persons as much as they say they do? Then why do they pervert Scripture to try to get themselves raptured off earth before their future and final "tribulation" instead of wanting to remain on earth during that period to minister love to ALL of earth's citizens including Jews and Muslims? 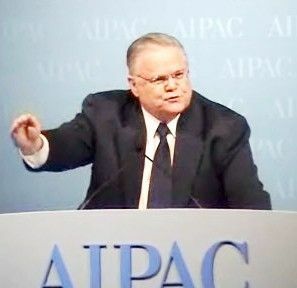 Hagee stated on July 19, 2006 that "The United States must join Israel in a pre-emptive military strike against Iran to fulfill God's plan for both Israel and the West...." Which Bible verse inspired him to utter this - the one that says "Love ye your enemies" or the one saying "Vengeance is mine; I will repay, saith the Lord"? It would appear that Hagee and other pretribulation rapture traffickers and Christian Zionists are trying to identify with the predicted group whose love will "wax cold" (a la Matthew 24:12) during what Hagee etc. see in the future as earth's darkest days! Talk about hypocrisy. Who would have guessed that pretrib rapture dispensationalists (who exalt Israel and Jewish persons in an almost idolatrous way) have embarrassing anti-Jewishness in their own system's foundation? 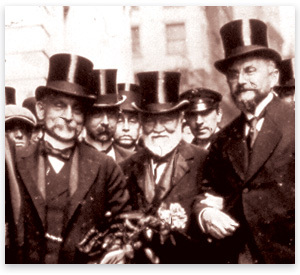 And who would still be in total darkness about this fascinating historical fact if it weren't for the author of this electrifying piece and the enlightened publisher of this eye-opening and much needed blog? I'm thankful for you, Dave, and for you, Joe, for demonstrating that earth-shaking info for believers can surely be found on the worldwide internet! 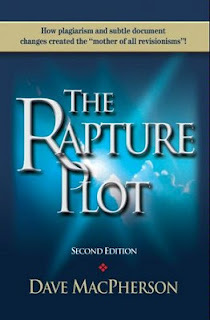 I have Dave's book "The Rapture Plot" which unfortunately hasn't pleased everyone. In fact, it isn't hard to find accusations on the web that Dr. Robert Norton (the recorder of Margaret Macdonald's 1830 pretrib rapture "revelation") dishonestly revised what she initially stated. The claim is that Margaret was actually a posttrib (and not a pretrib) because of statements she uttered like "The trial of the Church is from Antichrist" which is found in Norton's 1840 reproduction of her words. (1) Dave's article "Pre-Trib Rapture's Missing Lines" (which you ran last March) showed she was a partial rapturist seeing only a PART of the church in a pretrib rapture. Even John Walvoord, the pretrib "Godfather," stated in his books that partial rapturists are "pretribulationists" - and Ryrie, Ice and some others, when opposing Dave's findings, either didn't know that Walvoord had supported Dave on this point or else didn't want their readers to know this! (2) Dave's article (above) shows the rapid partial rapture development of the innovative Irvingites between 1830 and 1833. So by 1833, three years after Margaret's initial inspiration, the Irvingites managed to exempt ALL of the church from the tribulation! Compared with them, Darby was a slowpoke. In an 1833 letter Darby gave his opinion of the new partial rapturism: "It commends itself morally to one's mind." Eventually Darby and his fellow Brethren began echoing the Irvingites. But whereas the Irvingites soon got ALL (and not just some) of the church raptured before the trib (reflected by Norton's "omission" statement in his 1861 version), not until an 1873 letter did Darby reveal that his fellow "brethren...have all settled pretty positively in the conviction that all the saints will be with Christ at His coming." Dave's research shows that Darby wasn't original, or first, on any aspect of pretribulation dispensationalism! 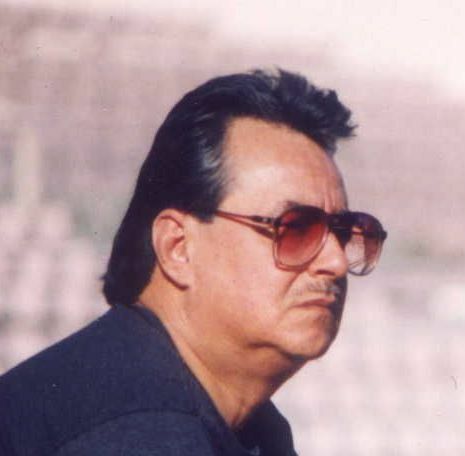 I am amazed at the depth of your blogs, brother Ortiz, including this one. I have the book by Dave recommended here, and also your must-read theological works like "The End Times Passover" and "Why Christians Will Suffer Great Tribulation." I can't understand Christians who would rather buy Happy Meals than the soul-satisfying and spiritually-healthy books that you offer on this blog of yours. But this is a perverted age we live in, isn't it? Wow, this is truly the place for one-stop shopping for Bible prophecy books and related information! Amazing bargains for those on limited budgets, and I am speaking from experience since I own and benefit from said books. Keep writing and speaking! The True Enemies of the World are the Mammonites!